When does it make sense to get annual travel insurance coverage? The single trip vs. annual travel insurance question is one that all potential travelers should be asking themselves. 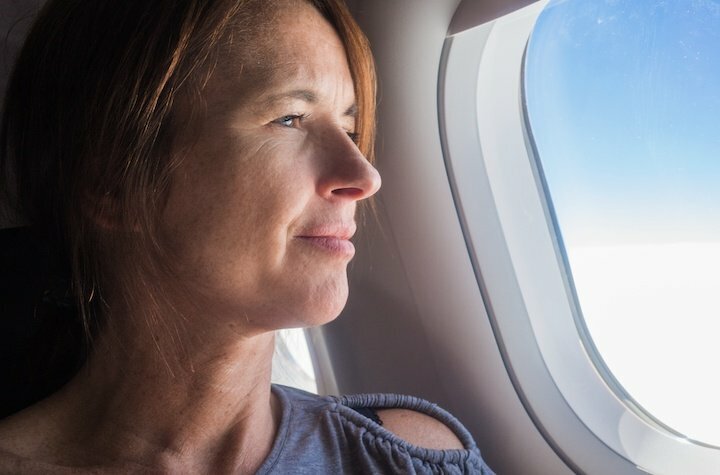 Unfortunately, many people don't even realize that travel insurance is a two-option proposition, and find themselves over-spending compared to what they would have spent had they gone with the optimal choice. If you're reading this right now, then congratulations; you're ahead of the curve! Opening your mind up to the fact that there are two types of coverage templates is the first step towards making smart decisions. But to get to the point where you're always making the right call, there's some more you'll have to consider. What you need to keep in mind about the question brought up above is that it will always be determined on a case-by-case basis. There is no unconditionally correct pick. It is the factors at play in a specific scenario that make one option more attractive than another. So what, exactly, should be looked at? Frequency of travel: This is the big one. The amount you travel in a given year will be the strongest determinant of which coverage plan best suits you. Sometimes that is a year-to-year sort of evaluation. For example, in 2017, you could have attended a bar mitzvah, bachelor party, gallery opening, and sporting event in different countries (and on separate occasions), but be planning to stay home for all of 2018. That's just how traveling tends to go; there is a high amount of variance. But for certain types of people, the circumstances of their lives and careers prompt them to travel with more planned frequency: students, independent businesspeople, etc. Being able to be certain of that frequency in advance is very helpful in figuring out what kind of travel insurance to get. Types of activities: A SCUBA diving trip to the Bahamas is very different from a film festival-viewing visit to Montreal. The degree of risk for a traveler in the former scenario is far greater than it would be for him or her in the latter. For some activities, the risk disparity is irrelevant to the policy (i.e. if you plan to play a game of pick-up hockey while visiting family in Alberta, it won't cost you any more to be covered than it would to be hanging out in a living room for the entirety of that trip). When activities are extremely dangerous, though, that is rarely the case. So if one or more of your trips involve some activity like SCUBA diving, the price of extra coverage could really drive up your premium, and perhaps complicate your path to getting an annual policy—or, at least, a reasonably priced one. Destinations: The specifics of the destination you travel to could play an important role in shaping the decision of single trip vs. annual travel insurance coverage. Your worries for a road trip to British Columbia would be very different than those for a backpacking trip through Europe. Things like baggage loss and trip cancellation, that you are happy to pay for in one instance, might not be as desirable in the other, and thus feel like a waste of money. If most of the destinations you travel to don't warrant an all-inclusive sort of coverage, then perhaps it's not worth it to get an annual policy that is designed to accommodate just one or two of them. Length of trips: As you may know, the cost of a travel insurance premium is typically proportional to the length of said trip (in the case of an annual premium, the longest trip will be used as a point of reference). Because trip length is so closely intertwined with premium cost, trip duration is something that can definitely affect whether or not someone should get coverage for a single trip or an entire year. One long trip has the capacity to significantly drive up the cost of an annual premium that would be much lower without it. For all this talk about factors, the only way to actually find out whether or not an annual policy will be worth it is to see how the factors translate into hard numbers. So, we ran some simulations for a single type of traveler (under different circumstances) using the Smart Coverage travel insurance quote generator. To demonstrate how those figures were calculated, we've included all the relevant data that was entered. As we can see, the range of quotes we get is quite large. The lowest one ($16.87) is for a short single trip that only requires Emergency Medical coverage. When the 29-year-old traveler taking that same trip wants All Inclusive coverage, the cost inflates all the way to $195.33. Our largest quote, of course, was for annual coverage where the longest trip was 30 days, and cost $324. So at what point does it make sense to take out an annual policy? Well, for anyone who wants All Inclusive coverage all the time, that point probably comes pretty early on. If our traveler is taking a 30-day trip, it only costs $54 more to upgrade to annual. But if he doesn't anticipate taking any other trips where he'll want all of that coverage, it could make sense to stick with multiple single trip premiums. To get annual coverage that only includes Emergency Medical benefits, it could take quite a few trips to make that worthwhile, as evidenced by the $154 quote. In the end, it's up to you to do a bit of digging and find out what works best. When you see the the disparity between quotes, you could be really glad you took the time to do so!